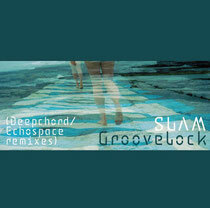 Slam’s 1995 track ‘Groovelock’ undergoes some serious remixing, reshaping and loving focus on ‘Slam Remixed Part 6’. This is an extensive exploration of the 14 minute original, with this single‚ release providing over an hour of music. Deepchord supplies remixes both under that name and as part of the Echospace project and this interconnection offers a detailed involvement with the 1995 track. The original track used smooth, full bass which merged with the varied samples and effects to create a deeply engaging single. On this subsequent single the remixes offer subtle variation on aspects of the original. Certain samples effects and production elements are reintegrated at various points and the focus and dynamic are shifted and stretched. The first Echospace Detroit Mix One‚ really heightens some of the echo and reverb to bring a dub essence to the track with panning, overlaying and filtering stretching the tracks production in this dub direction. The second Echospace Detroit Mix Two‚ is a more concise and concentrated piece which retains the original’s prominent and melodic bassline. However, the smooth bass of the Slam original is jarred somewhat with an industrial touch and sculpting of the sound. African drum samples are integrated and add freshness to some of the rhythmic patterns. There is also ebb and flow in the interaction of metallic percussion and floating synths. 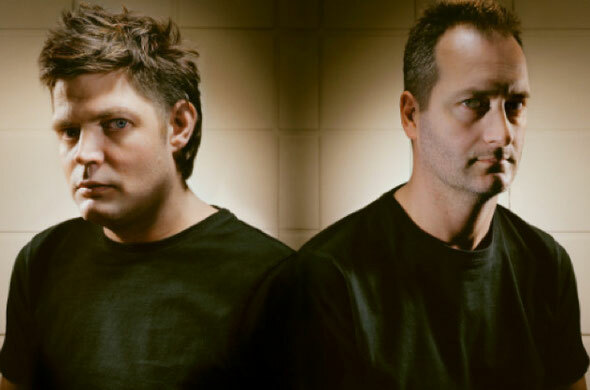 The Deepchord remixes express an ambient and slow-building production. The Centrum remix is darker and deeper than the original and uses sparse development of the original sounds aligned with rhythmic structure to build the tempo. The Deepchord Rebuild‚ continues this theme with the recognisable bass used sparingly as an undercurrent of the developing track. This track is a little more restrained and the ambient build up reaches its conclusion with vocals and effects offering a constant wave of sound towards the latter section. As the title suggests the Atmospheric Rebuild‚ extends the themes of the rebuild remix and shifts focus to develop a more ethereal sound. It’s out March 12th on Soma.